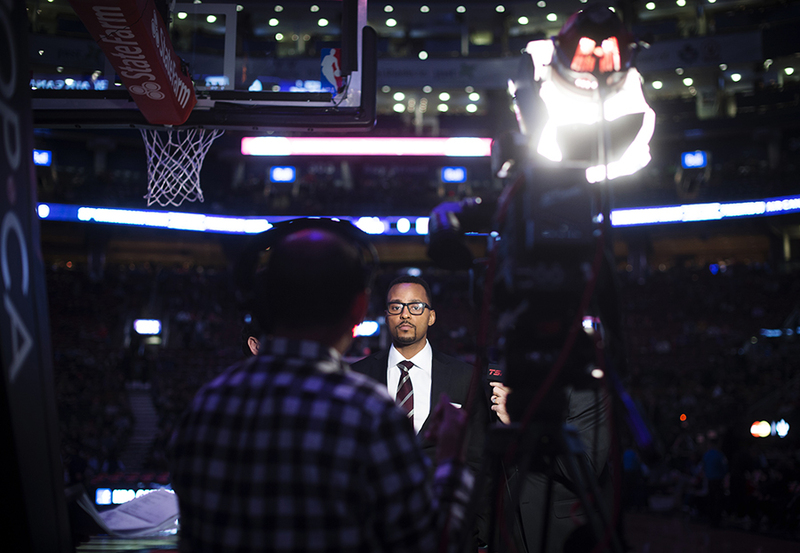 Had the opportunity to spend some time with former Toronto Raptors fan favorite Morris Peterson who has joined the broadcast crew. I ended up staying an extra hour or so just because Mo Pete was so kind and generous with his time – really good dude. 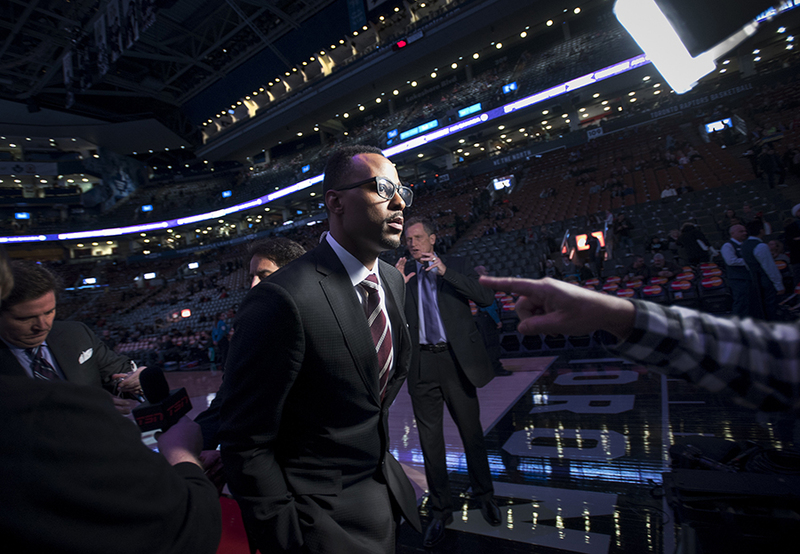 Former Toronto Raptor Morris Peterson prepares for the broadcast of the Raptors and Atlanta Hawks basketball game at the ACC in Toronto. 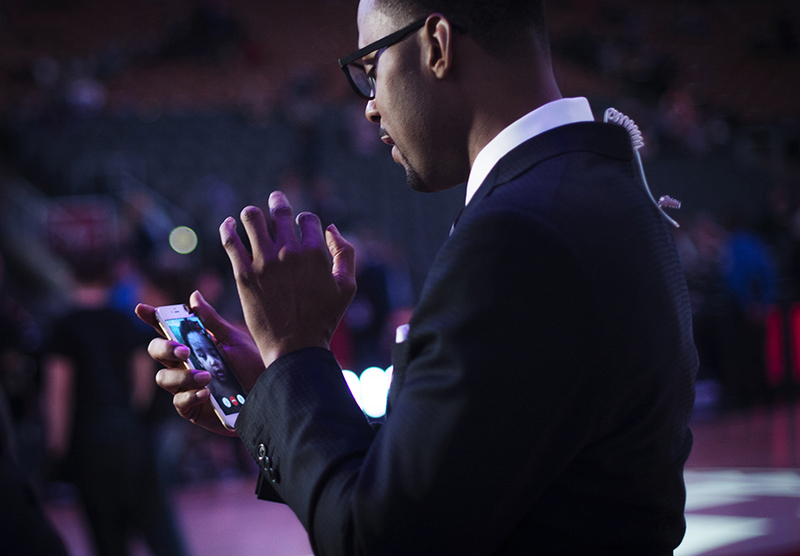 Former Toronto Raptor Morris Peterson waves goodnight to his nearly two-year-old son Morris Peterson III via FaceTime before the broadcast of the Raptors and Atlanta Hawks basketball game at the ACC in Toronto. 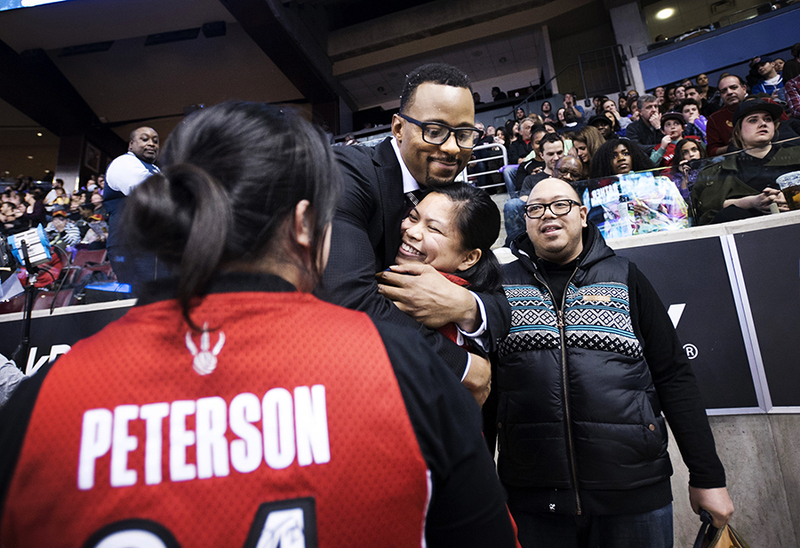 Former Toronto Raptor Morris Peterson, second from left, hugs a fan during a break in the broadcast of the Raptors and Atlanta Hawks basketball game at the ACC in Toronto.